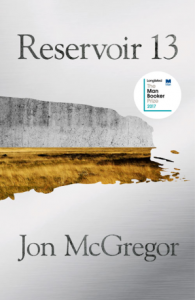 The ancient saying – ‘time and tide wait for no man’ – provides a poignant way to sum up Jon McGregor’s Reservoir 13, a modern-day novel set in rural England. It is a novel that lures the reader in, with an opening scene detailing a search party for a missing thirteen-year-old girl, before beginning its own slow reveal, exposing, inch by inch, a story with far more meat on its bones than first expected. 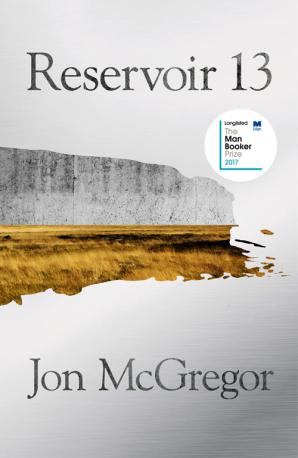 Reservoir 13 is McGregor’s fourth novel to be longlisted for the Man Booker Prize and there is no doubt as to why it belongs in this category; it hooks the reader effortlessly into a beautifully-crafted tale of human nature, and the power, control and impact that Mother Nature has on us all. Each chapter begins with “At midnight when the year turned”, a repetitive reminder of a freshness that can only be associated with the 1st of January, almost a ‘pit-stop’ at each interval. McGregor unpacks a whole year with each chapter, illustrating the passing of time beautifully, with meticulous references to nature. Seasons turn with the pages and the reader becomes accustomed to nature’s rhythms: bats hibernate, adolescent birds take their first plunge, badgers mate, lambing season becomes berry season, and Autumn “begins to collapse” into the darker months and “reservoirs freeze over”. These gorgeous descriptions place the reader inside the textures of a countryside tapestry, a magnified insight into rural living. Alongside these ever-changing landscapes runs an interesting paradox of the life challenges faced by the characters of the story, of whom there are a full village. With each turn of the annual wheel, lives become more complicated and, as the reader becomes immersed in such trials and tribulations, the grip of the missing girl loosens almost organically. McGregor narrates the entire story in third person, allowing none of his characters to take centre stage. An objective of his writing soon becomes apparent: he wants his reader to observe the characters from an unbiased bird’s eye perspective, a tactic that perhaps a detective would use when trying to solve a case about a missing person. This observation can be seen in the way he peppers paragraphs with snippets of daily occurrences taking place across the village. No sooner are we learning how the day’s fog will impact upon the Jackson brothers’ field duties, than we are privy to the school caretaker being arrested for suspicious web browsing, and then we’re whisked to the allotments to discover what this year’s harvest will bring. McGregor’s sentences seem to cartwheel through the village seamlessly, providing an authentic way of quickly gaining insight into a whole community. The novel shines a spotlight on human procrastination and its negative effects, and a contrasting one on the consistency of nature, highlighting the power and purpose of the external world. And therein lies the beauty of the tale. Whether it’s a question that’s not being answered in the pub, or a son being questioned about moving to Australia; the breaking of a pot in the local pottery shop or the breaking of an old widow’s heart; a missing herd of sheep or a missing girl, each dilemma brings its own spectrum of emotions, the intensity of which depends on the household the reader is visiting at the time. Regardless of the scenario, Mother Nature sits silently outside the windows of the whole community, simultaneously moving their lives along. Reservoir 13 offers a very pleasant surprise: its two worlds fold into one another. Crime tents and dead bodies become greenhouses and swallows’ eggs, underpinned by a strong metaphor that Mother Nature stops for no man, or more poignantly, no missing 13-year-old girl.